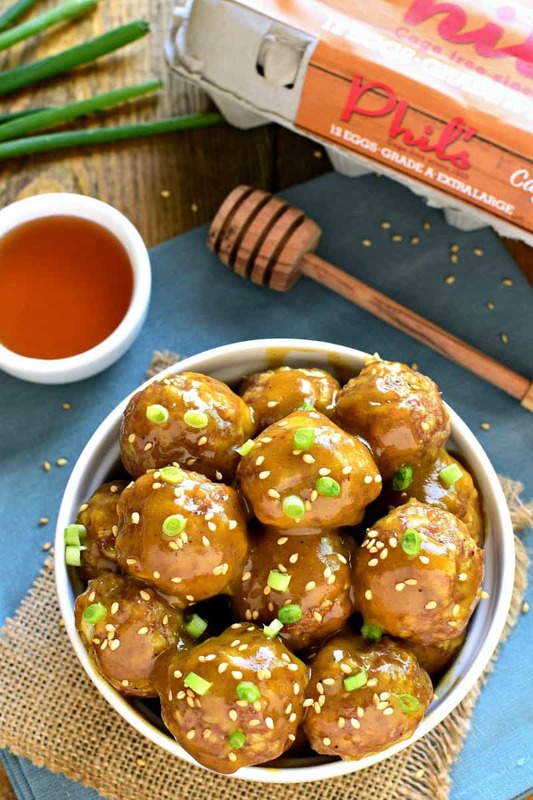 Honey Mustard Cocktail Meatballs are one of our favorite appetizers! It’s a kid approved meal! The perfect blend of savory and sweet, they’re guaranteed to be the hit of your next party! So. We’re in our last two days of December. It’s an interesting time of year….don’t you think? Thanksgiving and Christmas are done and over with, New Years Eve is just a day away…..just like that, we say goodbye to 2016. Are you ready!? I have to say – I feel good about it. Not good in an “I can’t wait till it’s over” kind of way. But content. Happy. Satisfied. 2016 was a good year for us, and I feel like we finished it strong. We had an awesome Christmas, and since then we’ve been on a major house cleaning spree, we’ve celebrated my mom’s birthday, and we’ve had some good family time. The only thing left on our checklist? New Years Eve, of course! Do you have New Years Eve plans? It’s one night of the year we haven’t given up on (despite 4 kids) and this year, like most, we’ll be having some friends over for good food, good conversation, and one VERY late night. It’s actually pretty much my ideal holiday….and I can’t wait. Because as much as I love the togetherness of Thanksgiving and the magic of Christmas, I’m ready for something different. Something easier. Something that doesn’t involve coordinating dozens of schedules, buying a million and one gifts, and making one huge feast after the next. I’m ready for a new season. The one that starts now! I’m ready for football playoffs and March Madness and all the non-holiday reasons we find to get together with friends and family in the second half of winter. And you know what? 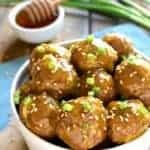 I plan to make these Honey Mustard Cocktail Meatballs for ALL the gatherings. 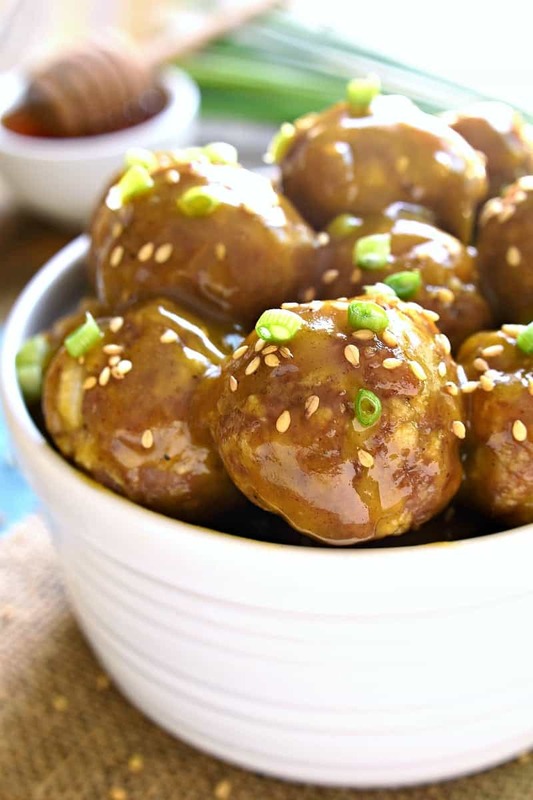 I don’t know about you, but I’m a huge fan of honey mustard everything….and these Honey Mustard Cocktail Meatballs are no exception. They’re the perfect balance of savory and sweet with just a touch of spice from the dijon mustard. To be honest, I could eat them daily. They’re that good. And even better when they’re made with Phil’s Fresh Eggs, my go-to brand. 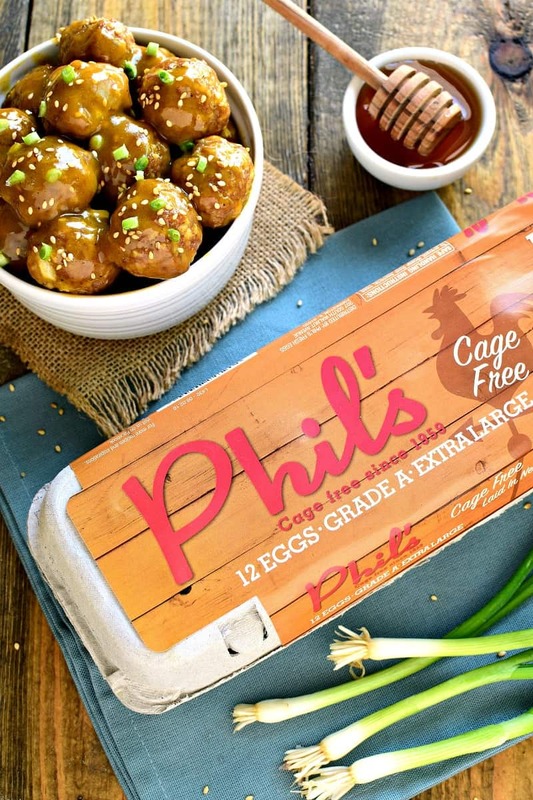 Phil’s Fresh Eggs is a family run, second generation, cage-free egg production facility based in Forreston, Illinois. 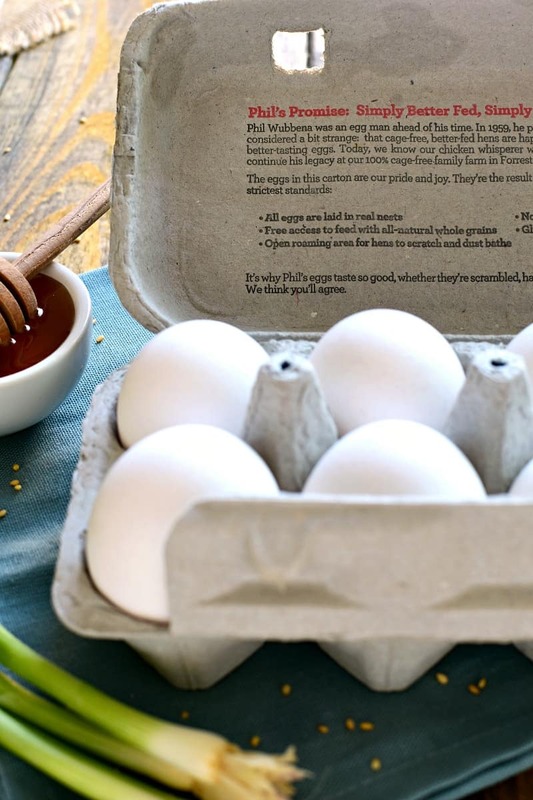 I love their eggs, not just because the company is committed to producing and selling humanely raised eggs, but because their eggs taste better! Which is a win-win, every time. 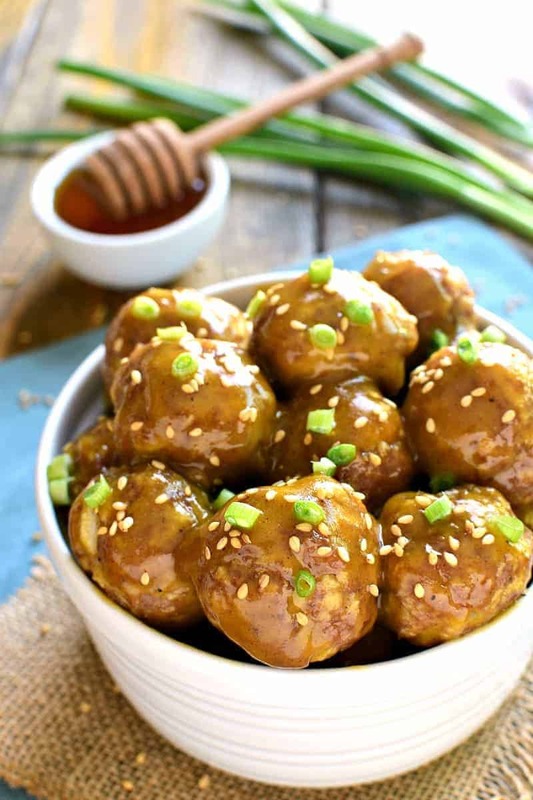 Whatever your New Years plans are, my recommendation is Honey Mustard Cocktail Meatballs. I promise…you won’t be disappointed. Happy New Year, my friends! Wishing you the BEST start to 2017! Prepare meatballs by soaking bread crumbs in milk; add ground turkey and remaining ingredients and mix thoroughly. Shape into 1 1/2 inch balls; place on a rimmed baking sheet. Bake at 350 degrees for 20 minutes or until cooked through. Meanwhile, in a large saucepan, combine ingredients for sauce and heat over medium heat. Add cooked meatballs to sauce and stir to coat. Garnish with sesame seeds and/or sliced green onion. Serve immediately or transfer to a slow cooker to keep warm. *This recipe can also be prepared in advance and re-heated. If you are a fan of honey mustard flavorings, then have a look at some of my other recipes with these ingredients. Those looks luscious, I’d love to pop several of ’em right now! I know what meatball I am making at our next Football Gathering! I may just save them for the SuperBowl! 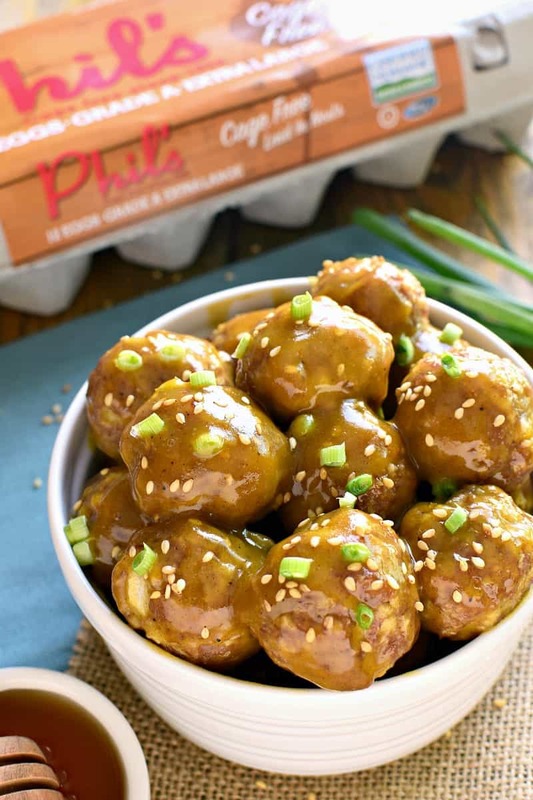 This recipe looks delicious…but I also have to say, I wish we had Phil’s eggs here. I try to get my eggs at the farmer’s market, but sometimes I can’t get there. Good to have healthy options. I’m satisfied with 2016 too. We had some rough times and a few loses over 2016 but I still had some great times. I can’t wait to see what 2017 brings. 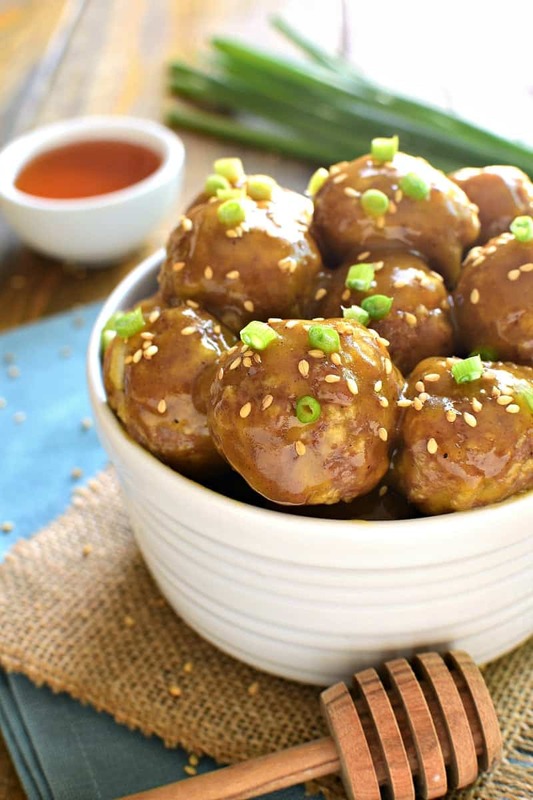 These meatballs are great and I love that they’re made in a slow cooker. Oh, these meatballs sound tasty! 🙂 I bet my family would love these. Am I the only stupid one here? Trying to figure out where the meatball ingredients end and sauce begins? It showed as a list of ingredients and in the instructions it says something about turkey, then add remaining ingredients? Maybe I am not seeing the same thing as you all!? I’m so sorry….I looked back at the recipe and you’re right. It’s unclear. I’ve updated the recipe now; the sauce ingredients start with the honey. Sorry about the confusion!